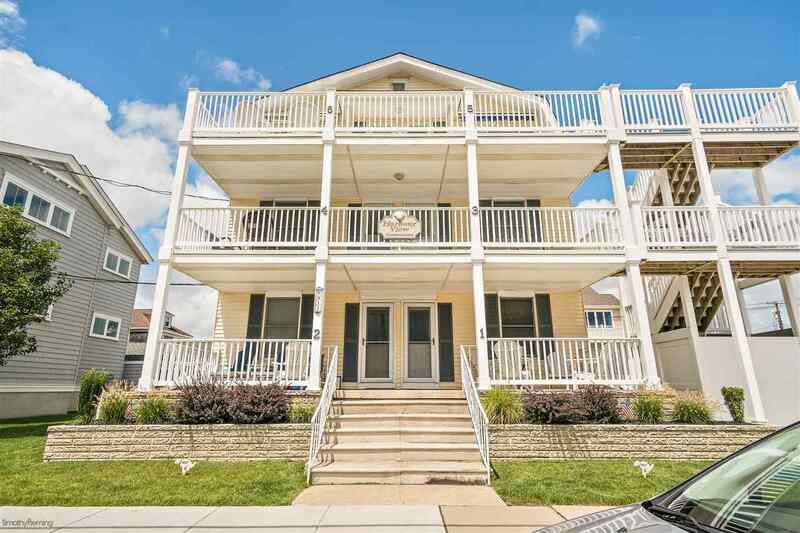 Let's start making those Stone Harbor memories at this 3 bedroom, 1.5 bath condominium. It's the first floor unit in a 6 unit building. The location offers you an easy walk or bike ride to shopping and dining on 96th Street, Bud&apos;s Market, Mac&apos;s Pizza and only two and half blocks to the beach. It features low maintenance laminate and vinyl plank flooring, updated kitchen with new gas stove and microwave, central air conditioning, and two off street parking spots. Wake up early and watch a beautiful sunrise at the 88th Street beach pavilion. Enjoy summer nights on either the front or back deck. The unit comes completely furnished, less a few personal items. Condominium fees are $200.00 per month and include flood insurance, water, and upkeep of the outside lighting, outside shower, and shared gas grill. Air conditioning system and roof are only two years old. Along with forced hot air heat, the property offers a secondary Rinnai Heating Unit. The property has enjoyed a strong rental history for the last 20 years. Don&apos;t miss your opportunity to make your Stone Harbor dreams come true.